Kristina contacted be about 1-2 weeks before her due date in hopes of booking a birth session. This was my 4th birth session for the month of August, but I didn’t have any clients due during the week of her due date, so I was able to squeeze her session in. About a week later (and the night after my birthday! ), I received a call at 2:30 am. Kristina was in labor! When she called, she informed me that she was 6cm dilated and her waters were ‘bulging,’ so I headed out the door and made my way to the hospital she was delivering at. Once I arrived at the hospital, Kristina was already checked in and the nurses were getting some heart rate readings from baby. Her mother, sister and husband were all getting settled in and ready to meet the new addition! Shortly after, Kristina’s doula Kjell arrived to help Kristina and her husband through labor and delivery. During the early moments of active labor, Kristina was a true ROCK STAR. If her midwife didn’t confirm that she was in labor, I don’t think anyone could have guessed it. She was so elegant and powered through her contractions. 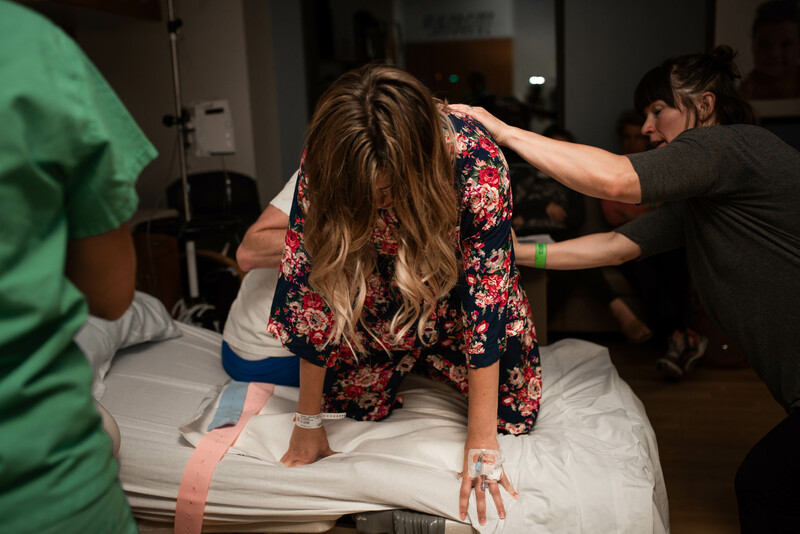 Things started to get more intense and her midwife, doula and husband stepped in to help apply counter pressure during her contractions. 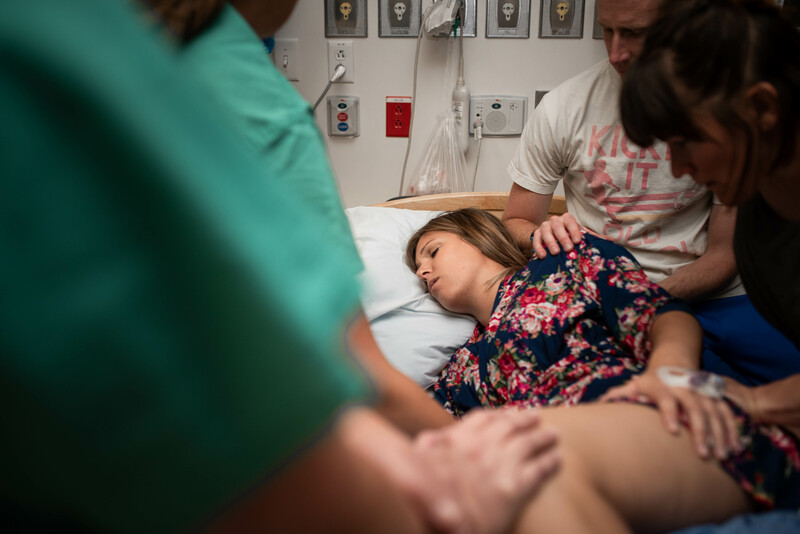 She was planning on laboring in the tub once contractions got intense, but things moved a little too quickly and Kristina felt as though she was getting ready for delivery. Her breathing intensified and you could tell she was listing to her body and trusting the process. Her husband was right by her side every step of the way and he made sure she was comfortable and happy. Once she was back in bed, her midwife prepped her for delivery. The nurse wheeled in a cart with the items needed for delivery and Kristina worked on getting into a position that was comfortable for her and felt right. You could tell that these contractions were much stronger than the ones when I first arrived at the hospital, but she was still trusting the process and working through her contractions so calmly. Welcome to the world baby Hank! 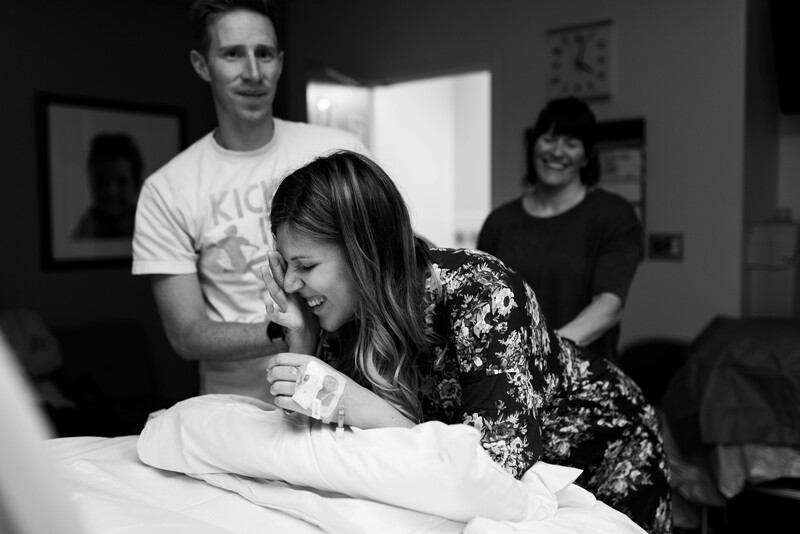 Below you can find Kristina’s review of her birth story session with me. You can also view more reviews on my facebook page here. Kristina is a mom located here in Utah. She is the owner of a popular blog called MothersNiche. She has some AWESOME content for mothers on her blog, so make sure to go check her out! You can find her on Instagram here!